Experts have long known that northern lands were a storehouse of frozen carbon, locked up in the form of leaves, roots and other organic matter trapped in icy soil — a mix that, when thawed, can produce methane and carbon dioxide, gases that trap heat and warm the planet. But they have been stunned in recent years to realize just how much organic debris is there. A recent estimate suggests that the perennially frozen ground known as permafrost, which underlies nearly a quarter of the Northern Hemisphere, contains twice as much carbon as the entire atmosphere. 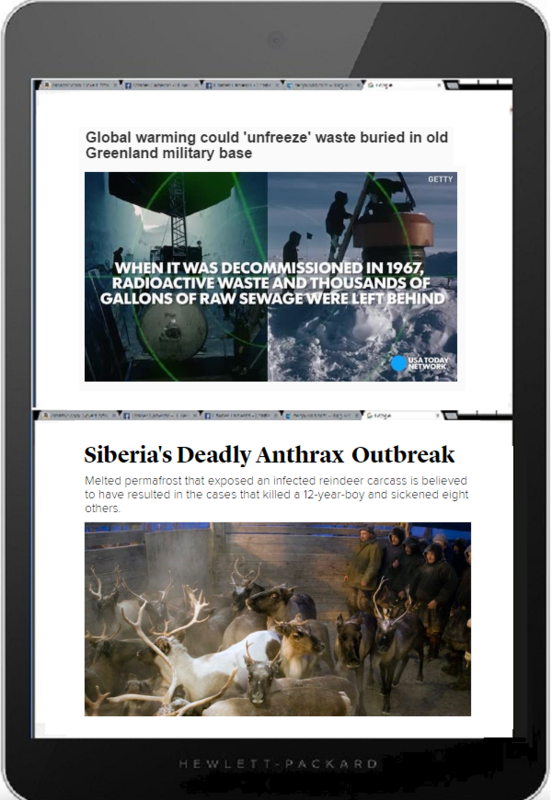 Okay, now we can also think about rotting reindeer carcases and radioactive waste. I suppose we have to start with Trumpian Fundamentalism — by wbich I mean, taking the literal meaning from whatever he says. This view is simple, even simplistic. Former Defense Intelligence Agency Director Lt. Gen. Michael Flynn says he’s trying to get Donald Trump to be more precise in how he talks about foreign policy, but he defended some of his hardline proposals as simply opening offers in negotiations on world affairs. In Trump’s defense, Flynn said the real estate mogul sees the world from the perspective of a global businessman and suggested the billionaire’s bombastic rhetoric is just a starting point for negotiations. This view has the advantage of following a business model, and Trump may or may not be anything else, but he’s surely a businessman. It also leaves a lot of room for “play” between his stated intentions on the one hand, and what he’s liable to settle for when talk comes to signature on the other. This angle has the advantage of psychological plausibility. I gather there is or was until fairly recently a US submarine defensive system called a MOSS (mobile submarine simulator) MK70 — a decoy launched from a torpedo tube which Wikipedia tells us [1, 2] lacked an explosive warhead but was “able to generate both an active sonar echo and a passive sound signature recorded to be extremely similar to that of the launching submarine” — thus effectively simulating a full size submarine. I learned this today after looking up “chaff” in the belief that Trump may simply be scattering all manner of provocative yet contradictory statements in his wake, with a view to confusing the hell out of his enemies — whether his fellow Republicans, his presumptive Democratic opponent, or potentially hostile state and nonstate actors abroad. Call that the Kim Jong Il factor — and consider by way of analogy Why it’s sane for Kim Jong-il to be crazy. Cheryl Rofer, Donald Trump: Fellow Traveler Or Useful Idiot? A wicked problem is one for which each attempt to create a solution changes the understanding of the problem. Wicked problems cannot be solved in a traditional linear fashion, because the problem definition evolves as new possible solutions are considered and/or implemented. The term was originally coined by Horst Rittel. Perhaps this explains in part why there’s such considerable polarization in our various responses to Donald J Trump and his many tweets and speeches. I have to say, I feel that way a lot these days. As for reality itself, it has its own form of surreality — in this case, the dismal facts of plutonium stockpiles and their disposal, and their implications for politics (not to mention its conceivable / inconceivable continuation by other means). FWIW, I see a visual connection between these two images, although that may ba a personal quirk not shared by others. Again, a quirk of perception? One of the things science can teach its practitioners is humility. Respect for others who know something you don't. 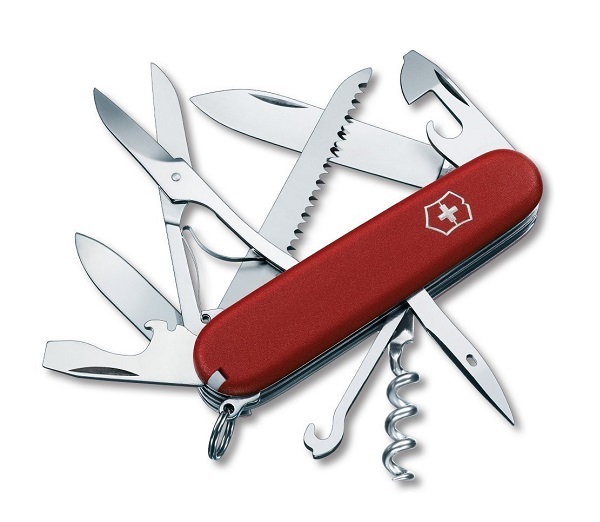 Humility has as many applications as a Swiss Army Knife.